Rab Future Flood Series LED Floodlight fixture in bronze color, has die-cast aluminum thermal management housing. 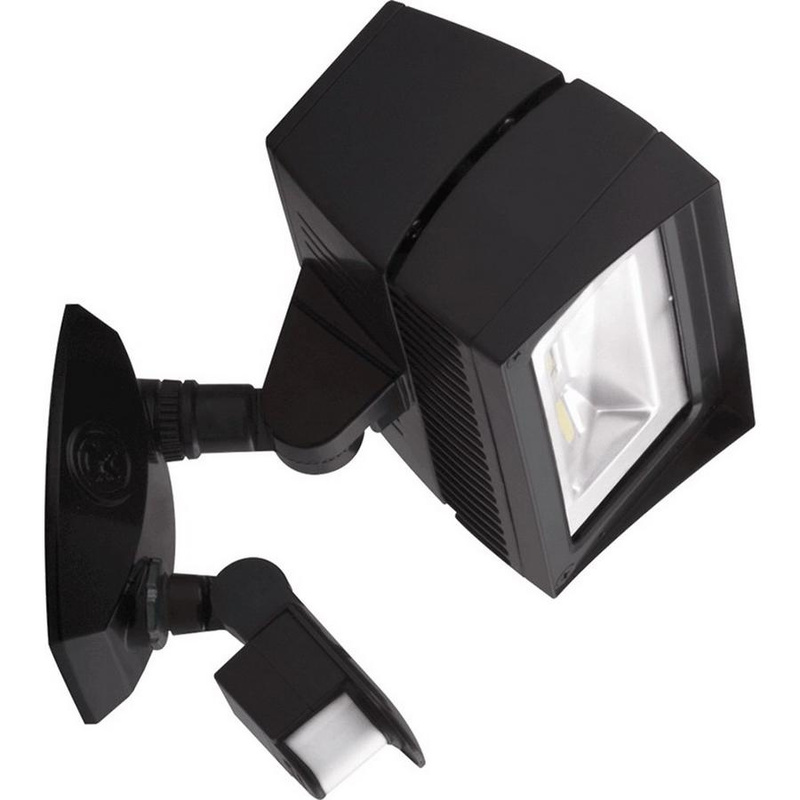 This LED floodlight fixture featuring semi-specular anodized aluminum reflectors, has one 18-Watt ultra efficient LED lamp to offer 1681-Lumens of light output. The 69-CRI lamp has a color temperature of 5000K. It has voltage rating of 120-Volts. It measures 9-Inch x 8-3/4-Inch. This floodlight fixture in polyester powder-coated finish, has heavy-duty mounting arm with O-ring seal and stainless steel screw for easy installations. This LED floodlight fixture with mini sensor, requires a minimum starting temperature of -40 deg C. This LED floodlight fixture has IP66-degree of protection to protect from dust and water ingress. It is compatible with most electronic ballasts. LED Floodlight fixture is UL listed.